NAAE provided planning, department restructuring, programming, and full A/E services for the renovation of the ±140,000 SF corporate headquarters affecting 300 persons in 15 different departments. Work also included the conversion of a former grocery store into the Corporate Operations Office Building located across the street from the main headquarters. 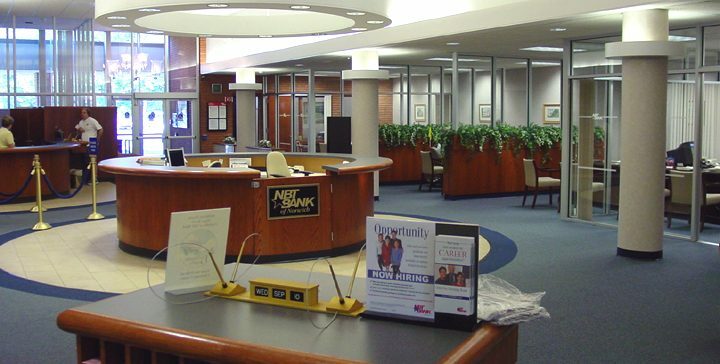 Renovations and upgrades included office relocations, reconfiguration, a new executive office suite and boardroom, manager offices, cubical office spaces, conference rooms, branch bank, ATM, and miscellaneous common space renovations.